Food poverty is ‘the inability to access or afford food to make up a healthy diet’. This can include quality as well as quantity of food. Food poverty is a complex issue but schools have an important role to play in ensuring that no child is distracted by hunger or poor nutrition, and that children and young people have access to a healthy diet. Breakfast clubs can support nutritional, social and educational outcomes. Ensure free school meal eligible children can come for free, for example by using pupil premium or other funds where appropriate. Consider finding sponsorship from local businesses or charities. Magic Breakfast is a national charity delivering free, nutritious breakfasts to schools where over 35% of pupils are eligible for free school meals. The All-Party Parliamentary Group on School Food have highlighted that school holidays can be challenging for families who rely on free school meals during term-time. They published a report on Filling the Holiday Hunger Gap and a guide to planning school holiday projects. If schemes charge they may not be accessed by the most disadvantaged pupils. Schools can consider a range of solutions by working in partnership with their local community, such as youth groups, children’s centres, businesses or charities. Holiday Kitchen offers family learning, food and play opportunities during the school holidays to children in the West Midlands. The aim is to improve children’s well-being, educational outcomes and life-chances through fun activities and experiences. The evaluation report includes useful learning, on how to run a scheme that is enjoyable, non-stigmatising and adds value through educational and health activities. Make Lunch is a national charity that partners churches with schools to open community kitchens in the holidays. There is a list of local organisations that supply free or low cost food throughout the summer holiday. Food banks meet the immediate needs of people in crisis. Find out the referral route for your local provider and establish a link. Click here for a List of Food Aid Providers in Devon and Cornwall. This database was collated by Dr Andrew Williams, University of Exeter in June 2014 as part of the ‘Emergency Food Provision in the UK’ project (British Academy and Leverhulme Foundation, grant number: SG131950). Schools can tackle food poverty through promoting a whole-school approach to food and healthy eating. Food for Life helps schools to transform their food culture, making healthy, sustainable and tasty food the norm. Making school meals as appealing and popular as possible for everyone is an important way to eliminate stigma for children eligible for free school meals. 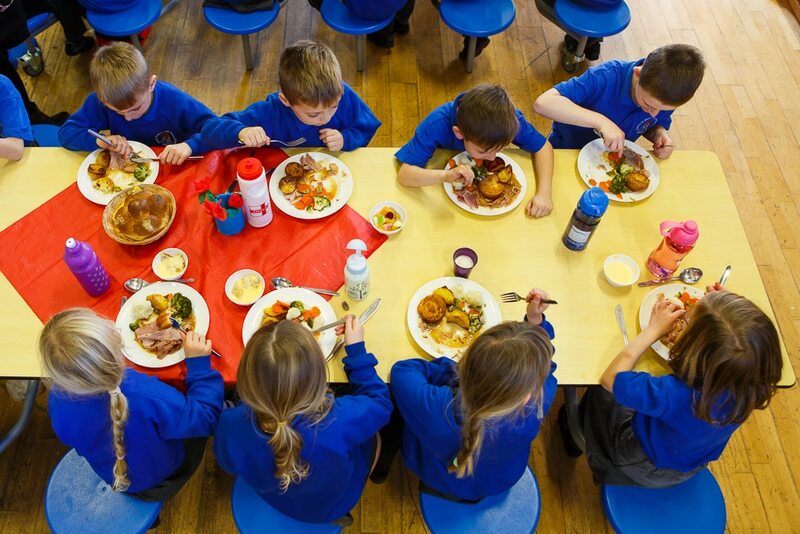 Encourage parents to sign up for free school meals wherever possible, and create a system where children do not know which of their peers are receiving free school meals.